Meek Mill’s legal woes continue to trouble him. The rapper has been denied bail by a Philadelphia judge. The judgement happened Friday but was released only on Monday to the public. Meek had filed an emergency bail petition in his probation violation case against him, through his lawyer. Common Pleas Judge Genece Brinkley, who was the original judge in his probation case as well, called him a “danger to the community” and a flight risk while turning down the request. “As stated on multiple occasions, he has never missed a previous court date in this case and poses absolutely no threat to the community, which makes him an ideal candidate for bail – a conclusion the Commonwealth did not oppose,” Mill’s attorney Joe Tacopina said in a statement. 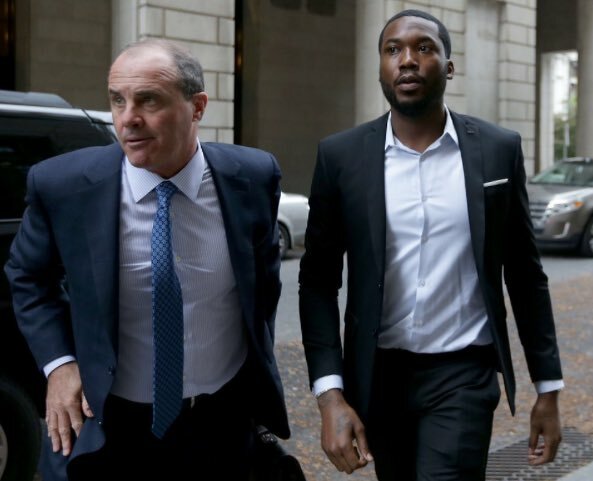 Brinkley sentenced Meek in November to two to four years in prison for violating his probation despite prosecutors recommending no jail time. The original case stems from a 2008 gun and drug charge. Meek’s lawyer has been accusing the judge in having a personal vendetta against the rapper. Last month in an interview, he claimed that the Judge wanted Meek to quit Roc Nation and sign with a friend of hers for a management deal. She also reportedly made a request that Meek re-record Boyz II Men’s song ‘On Bended Knee’ which he tributes to her and mentions her by name in the song. Calling it an “infatuation” with Meek, Joe Tacopina said that he has never seen such a case like this in his long legal career.